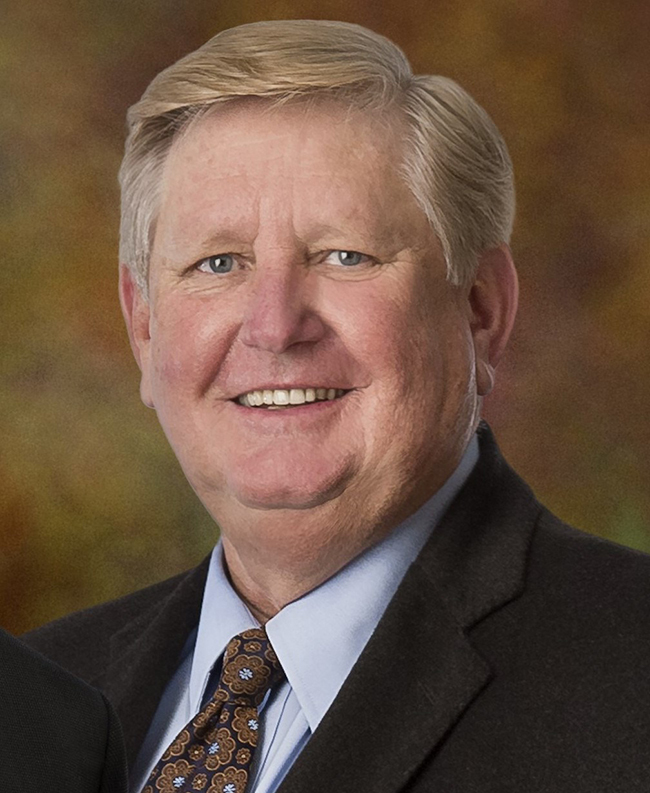 Kem C. Gardner has served since 2005 as Chairman of Gardner Company, a private commercial real estate company operating in the Intermountain West. During his 43 years in the real estate business, he has been involved in the development of some 3000 residential lots and more than 35 million square feet of corporate office and medical buildings, retail shopping centers, life-style centers, hotels, and industrial/ manufacturing facilities. Kem, also, has been active in community volunteer service and philanthropy. As a young business leader, he was a member of the Utah Symphony Board of Directors from 1978 to 1984, serving on multiple committees. He rejoined the Board of Trustees of the merged Utah Symphony | Utah Opera in 2011, and was elected Chairman of the Board in 2017 following the very successful fundraising campaign to celebrate the orchestra’s 75th Anniversary that he and his wife Carolyn Co-Chaired along with Scott and Jesselie Anderson, Gail Miller and Kim Wilson, and Bill and Joanne Shiebler. Under his leadership, the USUO Board of Trustees supports the largest arts organization in the Intermountain West which includes a world-class symphony orchestra (one of fifteen 52-week orchestras in the United States), a superior regional opera company that creates sets and costumes for companies throughout North America at its state-of-the-art production studios in Salt Lake City, the summer Deer Valley® Music Festival, and an extensive state-wide music education program that is considered one of the most robust in the nation. Kem has been a Trustee of Intermountain Health Care since 1982 and chaired the Board from 2007 -2013. He chairs the Intermountain Heathcare Foundation. He chaired the successful fundraising campaign for the new Intermountain Medical Center and he established The Kem C. Gardner Transformation Center, designed to be a base for Intermountain’s efforts to transform healthcare in ways that are patient-focused and that consistently provide the best clinical outcomes at sustainable costs. Kem has served as Chairman of the Salt Lake Chamber. He has been involved in transportation initiatives co-chairing the 2015 Transportation Alliance. He has chaired the Salt Lake Airport Authority and been a member of the Utah Air Travel Commission. He also, has been involved in higher education, serving as Chairman of the Utah State Board of Regents and currently serving on the National Advisory Committees of the University of Utah. Kem served two terms as Chairman of United Way of Salt Lake and on the Executive Committee from 1998 to the present. He is Co-Chair of the Changing the Odds Campaign. Kem was an original incorporator and Finance Chair of the Salt Lake Olympic Bid Committee. During the highly successful 2002 Olympic Winter Games, he served as Chairman of the 2002 Olympic Ambassadors responsible for fundraising. Kem is the Chairman of The Days of 47 Rodeo. He has served on the Board of Pioneer Theater Company Board. Kem has set up with the University of Utah, The Kem C. Gardner Policy Institute as part of the Thomas S. Monson Center. Kem received his Bachelor of Arts (1967) and Juris Doctorate (1970) Degrees from the University of Utah. He and his wife Carolyn are the parents of seven children and 30 grandchildren.